This year, the Jewish holiday of Passover begins at sundown on Friday, April 6th. The day also happens to be Good Friday, which is a Christian religious holiday. Passover 2012 ends at sundown on Saturday, April 14th. Lasting eight days in the early spring, the timing of Passover is based on the Jewish calendar and occurs during the Hebrew month of Nissan. One of the most widely observed Jewish holidays, Passover is a religious holiday and festival commemorating the time when the ancient Israelites were freed from slavery in Egypt. In the narrative of the Exodus, the Bible tells that God helped the Children of Israel escape slavery in Egypt by inflicting ten plagues upon the Egyptians before Pharaoh would release his Israelite slaves; the tenth and worst of the plagues was the slaughter of the first-born. The Israelites were instructed to mark the doorposts of their homes with the blood of a spring lamb and, upon seeing this, the spirit of the Lord passed over these homes…When Pharaoh freed the Israelites, it is said that they left in such a hurry that they could not wait for bread dough to rise (leaven). 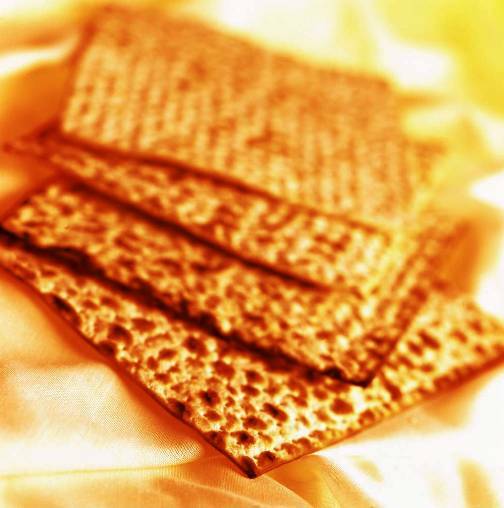 In commemoration, for the duration of Passover no leavened bread is eaten, for which reason it is called “The Festival of the Unleavened Bread”. Matzo (flat unleavened bread) is a symbol of the holiday. The religious observing of Passover is divided into two parts. 1. The first two days and the last two days. These four days are full-fledged holidays. Observers light holiday candles at night and feast on luxurious meals after reciting Kiddush (a Jewish prayer) on both days and nights. Those observing Passover also do not go to work on these four days, nor do they drive, write, or use electrical devices. They are, however, able to cook outdoors. 2. The middle four days. These four days are called chol hamoed, and are semi-festive “intermediate days.” Most forms of work are permitted on these days. – Eating bitter herbs (as homage to the bitter slavery endured by the Israelites). – Drinking four cups of wine or grape juice – a royal drink to celebrating the Israelites’ freedom. – The reciting of the Haggadah, an ancient work that describes in detail the story of the Exodus from Egypt, and fulfills the biblical obligation to recount to children the story of the Exodus on the night of Passover. The six items on the Seder plate are arranged in a special order. Placed on top of three covered matzah, the plate holds its place at the table in front of the head of household. 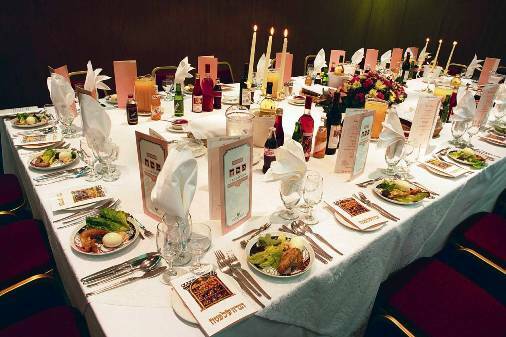 The food items included on a Seder plate are listed alphabetically below, with a brief explanation of each one’s role in the holy meal. Bitter Herbs – Bitter herbs (maror) represent the bitterness of the slavery of Jewish forefathers in Egypt. Endive and fresh grated horseradish are common choices. Egg- Eggs represent the offering brought in the days of the Holy Temple and make up the main part of the Passover meal. Lettuce – Lettuce also symbolizes the bitter enslavement of the Jewish people in Egypt. The frequent choice for this item is romaine lettuce, which is not bitter when fresh, but if left to grow in the ground, the stem turns hard and bitter. Paste – Resembling the brick and mortar made by the Jewish people while they were enslaved, this paste is a mixture of apples, nuts and wine. Shank Bone – A piece of roasted meat represents the lamb that was the special Paschal sacrifice on the eve of the exodus from Egypt. Vegetable – A non-bitter root vegetable symbolizes the grueling work of the Jewish slaves in Egypt. This entry was posted on Wednesday, March 28th, 2012 at 5:32 PM	and is filed under Misc.. Both comments and pings are currently closed.